This Site is the official Site of Zuffa, LLC and is © 2017 Copyright Zuffa LLC. 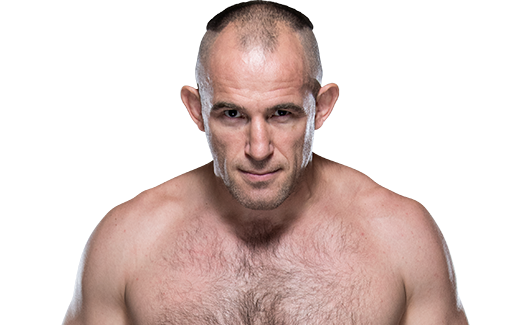 Commercial reproduction, distribution or transmission of any part or parts of this website or any information contained therein by any means whatsoever without the prior written permission of the Zuffa, LLC is not permitted. 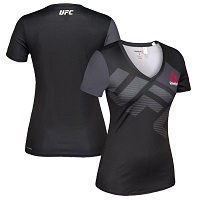 “Ultimate Fighting Championship,” “Ultimate Fighting,” “UFC,” “The Ultimate Fighter,” “Submission,” “As Real As It Gets”, "The Octagon" and the eight-sided cage design are registered trademarks, trademarks, trade dress or service marks owned exclusively by Zuffa, LLC in the United States and other jurisdictions. All other marks referenced herein may be the property of Zuffa, LLC or other respective owners. You may not use any “deep-link”, “page-scrape”, “robot”, “spider” or other automatic device, program, algorithm or methodology, or any similar or equivalent manual process, to access, acquire, copy or monitor any portion of the Site or any Content, or in any way reproduce or circumvent the navigational structure or presentation of the Site or any Content, to obtain or attempt to obtain any materials, documents or information through any means not purposely made available through the Site. Zuffa, LLC (“Zuffa, LLC” or “Zuffa”) reserves the right to bar any such activity. You may not attempt to gain unauthorized access to any portion or feature of the Site, or any other systems or networks connected to the Site or to any Zuffa server, or to any of the services offered on or through the Site, by hacking, password “mining” or any other illegitimate means. You may not probe, scan or test the vulnerability of the Site or any network connected to the Site, nor breach the security or authentication measures on the Site or any network connected to the Site. You may not reverse look-up, trace or seek to trace any information on any other user of or visitor to the Site, or any other customer of Zuffa, including any Zuffa account not owned by you, to its source, or exploit the Site or any service or information made available or offered by or through the Site, in any way where the purpose is to reveal any information, including but not limited to personal identification or information, other than your own information, as provided for by the Site. You agree that you will not take any action that imposes an unreasonable or disproportionately large load on the infrastructure of the Site or Zuffa’s systems or networks, or any systems or networks connected to the Site or to Zuffa. You may not forge headers or otherwise manipulate identifiers in order to disguise the origin of any message or transmittal you send to Zuffa on or through the Site or any service offered on or through the Site. You may not pretend that you are, or that you represent, someone else, or impersonate any other individual or entity. Zuffa policy prohibits Zuffa or its employees from accepting or considering any unsolicited ideas, proposals, suggestions or materials of any nature whatsoever (“Unsolicited Materials”). Accordingly, you may not use this Site or any information obtained from the Site to submit Unsolicited Materials to Zuffa or anyone affiliated with Zuffa via email, fax, postal mail or any other means. We have adopted this policy to avoid potential misunderstandings or disputes when new products, services and features developed internally by UFC personnel may appear to be similar to Unsolicited Materials submitted to the UFC. As stated above, we ask that you do not send us Unsolicited Materials. By ignoring our policy and submitting or posting Unsolicited Materials, including without limitation, text, photos, video, sound recordings, artwork, designs, software, data or any other materials, you are giving us permission, in perpetuity, on a no-charge, royalty-free basis to use the Unsolicited Materials in connection with UFC.com or any of Zuffa’s advertisements and promotions, and for any other purpose for which Zuffa chooses to use the Unsolicited Materials. Zuffa’s obligations, if any, with regard to its products and services are governed solely by the agreements pursuant to which they are provided, and nothing on this Site should be construed to alter such agreements. Zuffa may make changes to any products or services offered on the Site, or to the applicable prices for any such products or services, at any time, without notice. The materials on the Site with respect to products and services may be out of date, and Zuffa makes no commitment to update the materials on the Site with respect to such products and services. By using this website, you agree to be legally bound by all of the terms of this Agreement. UFC® reserves the right to change the terms of this Agreement or to change, modify or otherwise alter any features of this website at any time and for any purpose without notice and you agree to be bound by such modifications or revisions. Nothing in these Terms of Service shall be deemed to confer any third-party rights or benefits. You should visit this page regularly and review this Agreement for the current terms of this Agreement, since your continued access or use of the website will be deemed as an irrevocable acceptance of any such changes, modifications or alterations. Areas of this website within the proprietary online service offered by UFC® may be subject to additional terms and conditions, which you should read carefully before making any use of those areas. Any such terms will not vary or replace the terms of this Agreement regarding any use of this website, unless otherwise expressly stated. Provided you are eligible to use this site, UFC® hereby grants you a personal, non-exclusive, non-assignable and non-transferable license to use and display, for home, noncommercial and personal use only, one copy of any Material and/or software contained within this site, including, but not limited to, any files, codes, audio or images incorporated in or generated by the software (collectively the "Material"). You acknowledge and agree that you may not sublicense, assign or otherwise transfer this license or the Material and that no title to the Downloaded Material has been or will be transferred to you from UFC® or anyone else. You also agree that you will not alter, disassemble, decompile, reverse engineer or otherwise modify the Material. The availability of the content on the Services, including the Subscription Products, may be affected by a variety of factors, including event delays or cancellations, technical problems or network delays, program rescheduling, or other reasons. You agree that we are not obligated to provide you with any specific content under this Agreement. In order to access the Services, you must have access to the World Wide Web, either directly or through devices that access Web-based content, and must pay any service fees associated with such access. Not all of the features available through the Services, including certain live streaming audio, video or access to high-quality video, will be available to you unless your computer or mobile device satisfies the minimum technical requirements that are presented when you first register for the Services. As we make changes to the Services, the minimum technical requirements for access to the Services may change. You are responsible for determining whether your computer satisfies the minimum technical requirements before you register to access the Services. Moreover, if we change the minimum technical requirements after you initially register to access the Services such that your computer no longer satisfies the requirements, your exclusive remedy will be to request termination of your access to the Services under the provisions here. In addition, access to certain of the Subscription Products is limited to residents of certain geographical territories, and can be modified at UFC®’s discretion. Registration. In accessing this website or certain of the resources on the website, you may be asked to provide registration details, including but not limited to, a valid e-mail address, date of birth and your full name. We will not grant any user access to any registration-required portions of the Services unless he or she has completed the necessary registration and paid the fees, if any, associated with access to such portion of the Services. It is a condition of use of this website that all the details you provide will be correct, current, and complete. If UFC® believes the details are not correct, current, or complete, we have the right to refuse you access to the website or any of its resources. Your User Identity. Your username and password will be your identity for purposes of interacting with the Services and other users through the Services. In order to access the Subscription Products, you will be asked to provide your username and password. Username, Passwords, and Password Access. You shall keep confidential, shall not disseminate, and shall use solely in accordance with this Agreement, your username, and password for the Services. You shall immediately notify us if you learn of or suspect: (i) any loss or theft of your username or password, or (ii) any unauthorized use of your username or password or of the Services. In the event of such loss, theft, or unauthorized use, we may impose on you, at our sole discretion, additional security obligations. Security Breaches and Revision. If any unauthorized person obtains access to the Services as a result of any act or omission by you, you shall use your best efforts to ascertain the source and manner of acquisition and shall fully and promptly notify us by email at UFCTVSupport@UFC.com. You shall otherwise cooperate and assist in any investigation relating to any such unauthorized access. Although UFC® will not be liable for your losses caused by any unauthorized use of your account, you may be liable for the losses of UFC® or others due to such unauthorized use. As a Site account holder you may submit Content to the Service, including but not limited to, user comments. You understand that UFC® does not guarantee any confidentiality with respect to any Content you submit and you acknowledge and agree that Zuffa may use and permit third parties to use anything you submit or otherwise provide or make available to Zuffa, including without limitation, information available through any Third Party Platform (e.g., Facebook, Twitter, etc) used to access any Site. This website and all materials incorporated on this website (including, but not limited to text, photographs, graphics, video and audio content) are protected by copyrights, patents, trade secrets or other proprietary rights under laws of the United States and other countries. Some of the logos or other images incorporated by UFC® on this website are also protected as registered or unregistered trademarks, trade names and/or service marks (“Trademarks”) owned by UFC®. All other trademarks are the property of their respective owners. Use of the Trademarks of UFC® or of any other party is not authorized in any manner other than as incorporated into this website. UNAUTHORIZED COPYING, REPRODUCTION, REPUBLISHING, UPLOADING, DOWNLOADING, POSTING, TRANSMITTING OR DUPLICATING OF ANY OF THE MATERIAL, IN WHOLE OR IN PART, IS EXPRESSLY PROHIBITED. Any unauthorized use may subject the offender to civil liability and criminal prosecution under applicable federal and state law. Please note that while UFC® seeks to preserve any and all exemptions from liability that may be available under the copyright law, this is not a stipulation that UFC.tv is a service provider as defined in 17 U.S.C § 512(c) or elsewhere in the law. Special Terms and Conditions Applicable to Subscription Products, online Pay Per View, and Other Services/Products Offered for Purchase Through the Site. We reserve the right to modify the price of any Subscription Product, online Pay Per View, and/or any other services/products offered for purchase through the Site. We are not responsible for any error in copy or images relating to any Subscription Product or any other services/ products offered for purchase through the Site. Billing and Automatic Renewal Policies for Certain Subscription Services or Monthly Subscriptions, the term begins when you purchase and ends at the product’s pre-determined cycle. To cancel your monthly subscription or the annual automatic renewal feature, send an e-mail to UFCTVSupport@UFC.com cancellation will become effective as of the next monthly billing cycle following receipt. The UFC® reserves the right to block access to any online Pay Per View event to any regions or territories at the UFC®’s discretion and for any reason. Under this agreement, the payment processing services for the Service will be provided by NeuLion Limited, on behalf of UFC®, depending on the type of payment methods used for the purchase of the Services. Online Pay Per View is for residential use only. Commercial locations in the United States are required to license the Pay Per View from our commercial distributor Joe Hand Promotions, Inc., 407 E. Pennsylvania Blvd., Feasterville, PA 19053. Commercial locations in English Canada are required to license the Pay Per View from our commercial distributor Premium Sports Broadcasting, Inc., 650 Columbia Street New Westminster, BC V3M 1A9. With the exception of purchases made between February 28th, 2016, through March 2, 2016, if your access to such Subscription Product is cancelled by you within five (5) days of the purchase date, we will make a reasonable effort to refund to the credit card you used to subscribe to such Subscription Product an amount equal to the total amount you paid for access to the Subscription Products in the current term of your subscription less the amount of a Weekly Pass for such Subscription Product. If your access to such Subscription Product is cancelled by you after five (5) days of the purchase date, you will not be eligible for a refund. If you have purchased a Subscription to any Subscription Product you will not be entitled to any refund if your access to the Subscription Product is terminated. Our reasonable effort to provide you with a refund, as described above, will be your exclusive remedy if you or we terminate your access to the Services, including in the event that you claim we breached our obligations to you. By accepting this Agreement, you agree that we may notify you about changes to prices and/or the Subscription Products by sending an e-mail message to your e-mail address on file with us and by publishing such notices from time to time on the informational page(s) of the Site. It is your responsibility to notify us of any change in your e-mail address by logging in to the Site and using the online account management tool. If your e-mail service includes functionality or software that catalogues your e-mails in an automated manner, it is your responsibility to ensure that those e-mails we send to you reach your inbox, either by routinely monitoring your bulk, junk and/or spam e-mail folders or by adding us to your address book or safe senders list. You may deactivate your registration on the website, at any time and for any reason, by sending an email request to UFCTVSupport@UFC.com. We may terminate your use of and registration on the website, at any time and for any reason, with or without cause, without prior notice to you and without any liability or further obligation of any kind whatsoever to you or any other party. General Use of the Service – Permission and Restrictions. You agree not to distribute in any medium any part of the Service or the Content without UFC®'s prior written authorization. You agree not to access Content through any technology or means other than the video playback pages of the Service itself or other explicitly authorized means UFC® may designate. You agree not to use or launch any automated system, including without limitation, "robots," "spiders," or "offline readers," that accesses the Service in a manner that sends more request messages to the UFC® servers in a given period of time than a human can reasonably produce in the same period by using a conventional on-line web browser. UFC® reserves the right to revoke these exceptions either generally or in specific cases. You agree not to collect or harvest any personally identifiable information, including account names, from the Service, nor to use the communication systems provided by the Service (e.g., comments, email) for any commercial solicitation purposes. You agree not to solicit, for commercial purposes, any users of the Service with respect to their Content. UFC® reserves the right to discontinue any aspect of the Service at any time. You may not copy, reproduce, distribute, publish, enter into a database, display, perform, modify, create derivative works, transmit, or in any way exploit any part of this website, except that you may access and display material and all other content displayed on this website for non-commercial, personal, entertainment use on a single computer only. Without limited the generality of the foregoing, you may not distribute any part of this website over any network, including a local area network, nor sell or offer it for sale. In addition, these files may not be used to construct any kind of database. Also, decompiling, reverse engineering, disassembling, or otherwise reducing the code used in any software on this website into a readable form in order to examine the construction of such software and/or to copy or create other products based (in whole or in part) on such software, is prohibited. You agree that your use of the services shall be at your sole risk. To the fullest extent permitted by law, UFC®, its officers, directors, employees, and agents disclaim all warranties, express or implied, in connection with the services and your use thereof. UFC® makes no warranties or representations about the accuracy or completeness of this site's content or the content of any sites linked to this site and assumes no liability or responsibility for any (i) errors, mistakes, or inaccuracies of content, (ii) personal injury or property damage, of any nature whatsoever, resulting from your access to and use of our services, (iii) any unauthorized access to or use of our secure servers and/or any and all personal information and/or financial information stored therein, (iv) any interruption or cessation of transmission to or from our services, (iv) any bugs, viruses, trojan horses, or the like which may be transmitted to or through our services by any third party, and/or (v) any errors or omissions in any content or for any loss or damage of any kind incurred as a result of the use of any content posted, emailed, transmitted, or otherwise made available via the services. UFC® does not warrant, endorse, guarantee, or assume responsibility for any product or service advertised or offered by a third party through the services or any hyperlinked services or featured in any banner or other advertising, and UFC® will not be a party to or in any way be responsible for monitoring any transaction between you and third-party providers of products or services. As with the purchase of a product or service through any medium or in any environment, you should use your best judgment and exercise caution where appropriate. In no event shall UFC®, its officers, directors, employees, or agents, be liable to you for any direct, indirect, incidental, special, punitive, or consequential damages whatsoever resulting from any (i) errors, mistakes, or inaccuracies of content, (ii) personal injury or property damage, of any nature whatsoever, resulting from your access to and use of our services, (iii) any unauthorized access to or use of our secure servers and/or any and all personal information and/or financial information stored therein, (iv) any interruption or cessation of transmission to or from our services, (iv) any bugs, viruses, trojan horses, or the like, which may be transmitted to or through our services by any third party, and/or (v) any errors or omissions in any content or for any loss or damage of any kind incurred as a result of your use of any content posted, emailed, transmitted, or otherwise made available via the services, whether based on warranty, contract, tort, or any other legal theory, and whether or not the company is advised of the possibility of such damages. The foregoing limitation of liability shall apply to the fullest extent permitted by law in the applicable jurisdiction. You specifically acknowledge that UFC® shall not be liable for content or the defamatory, offensive, or illegal conduct of any third party and that the risk of harm or damage from the foregoing rests entirely with you. The Service is controlled and offered by UFC® from its facilities in the United States of America. UFC® makes no representations that the Service is appropriate or available for use in other locations. Those who access or use the Service from other jurisdictions do so at their own volition and are responsible for compliance with local law. To the extent permitted by applicable law, you agree to defend, indemnify and hold harmless UFC®, its parent corporation, officers, directors, employees and agents, from and against any and all claims, damages, obligations, losses, liabilities, costs or debt, and expenses (including but not limited to attorney's fees) arising from: (i) your use of and access to the Service; (ii) your violation of any term of these Terms of Service; or (iii) your violation of any third party right, including without limitation any copyright, property, or privacy right. This defense and indemnification obligation will survive these Terms of Service and your use of the Service, (Iv) any bugs, viruses, trojan horses, or the like which may be transmitted to or through our services by any third party, and/or (v) any errors or omissions in any content or for any loss or damage of any kind incurred as a result of the use of any content posted, emailed, transmitted, or otherwise made available via the services. UFC® does not warrant, endorse, guarantee, or assume responsibility for any product or service advertised or offered by a third party through the services or any hyperlinked services or featured in any banner or other advertising, and UFC® will not be a party to or in any way be responsible for monitoring any transaction between you and third-party providers of products or services. As with the purchase of a product or service through any medium or in any environment, you should use your best judgment and exercise caution where appropriate. UFC® does not accept unsolicited submissions of concepts, creative ideas, suggestions, stories, merchandise, or other potential content. This is to avoid the possibility of future misunderstanding when projects developed by UFC® staff or representatives might seem to others to be similar to the submitted concepts, creative ideas, suggestions, stories or other potential content. Therefore, please do not send UFC® any unsolicited submissions. 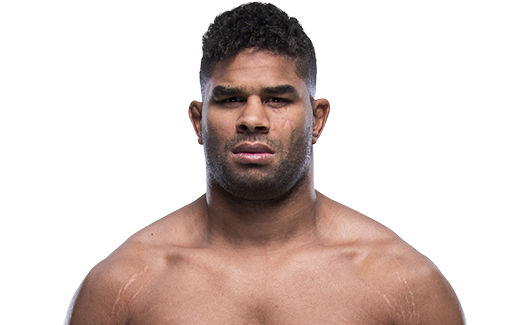 To the extent that use of the website provides you or other users an opportunity to post and exchange information, content, ideas and opinions (“Postings”), be advised that UFC® does not screen, edit, or review Postings prior to their appearance on the website or elsewhere, and Postings do not necessarily reflect the views of UFC®. To the fullest extent permitted by applicable laws, UFC® excludes all responsibility and liability for the Postings or for any losses or expenses resulting from their use and/or appearance on the website or elsewhere. You hereby represent and warrant that you have all necessary rights in and to all Postings you provide and all material, content and information they contain and that such Postings shall not infringe any proprietary right, intellectual property right or other rights of third parties. In any event, no material you send to us will be treated as confidential and may be used by Zuffa and third parties for any and all purposes. UFC® shall have the right, but not the obligation, to monitor any Postings or other material on UFC.tv. UFC® shall have the right in its sole discretion to edit, refuse to post or remove any material submitted or posted to UFC.tv. Without limiting the foregoing, UFC® shall have the right to remove any material that UFC®, in its sole discretion, finds to be in violation of this Agreement or otherwise objectionable. These Terms of Service, and any rights and licenses granted hereunder, may not be transferred or assigned by you, but may be assigned by UFC® without restriction. Applicable Law and Jurisdictional Matters. You agree that: (i) the Service shall be deemed solely based in Nevada; and (ii) These Terms of Service shall be governed by the internal substantive laws of the State of Nevada, without respect to its conflict of laws principles. Any claim or dispute between you and UFC® that arises in whole or in part from the Service shall be decided exclusively by a court of competent jurisdiction located in Clark County, Nevada. The parties all consent to the jurisdiction of such courts agree to accept service of process by mail, and hereby waive any jurisdictional or venue defenses otherwise available to it. These Terms of Service, together with the Privacy Notice at and any other legal notices published by UFC.tv on the Service, shall constitute the entire agreement between you and UFC® concerning the Service. YOU AND UFC® AGREE THAT ANY CAUSE OF ACTION ARISING OUT OF OR RELATED TO THE SERVICES MUST COMMENCE WITHIN ONE (1) YEAR AFTER THE CAUSE OF ACTION ACCRUES. OTHERWISE, SUCH CAUSE OF ACTION IS PERMANENTLY BARRED. If any provision of these Terms of Service is deemed invalid by a court of competent jurisdiction, the invalidity of such provision shall not affect the validity of the remaining provisions of these Terms of Service, which shall remain in full force and effect. No waiver of any term of this these Terms of Service shall be deemed a further or continuing waiver of such term or any other term, and UFC®’s failure to assert any right or provision under these Terms of Service shall not constitute a waiver of such right or provision. UFC® reserves the right to amend these Terms of Service at any time and without notice, and it is your responsibility to review these Terms of Service for any changes. Your use of the Service following any amendment of these Terms of Service will signify your assent to and acceptance of its revised terms. IF YOU DO NOT AGREE TO BE LEGALLY BOUND BY ALL OF THE FOREGOING TERMS PLEASE DO NOT ACCESS AND/OR USE THE WEBSITE.